The bouquet is of cherry liqueur, excellent cask and orange peel. It has the taste of very ripe fruit, especially cherries; a fresh and lovely tartness; pleasantly balanced taste of cask, and a moment later, of peppermint. You are left with a delightfully long aftertaste of cherries. In Bela Krajina, there are about 650 hectares of vineyards on the sunny mountain slopes of the Gorianci territory, which spread to an altitude of 200 to 350 meters. The Agricultural Consortium Metlika has 26 acres of new vineyards, to be found at an ideal location between the slopes of Vinomer and Vidošiči, around the famous church of St.Anne. 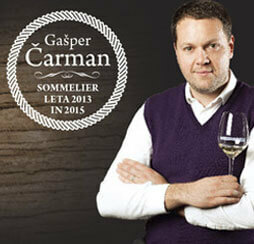 For its needs, the winery buys grapes from its partners and collaborators. 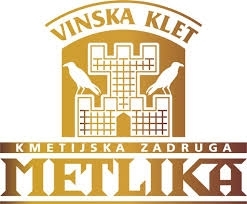 Today, the Metlika winery is one of the most important pillars of the Agricultural Consortium Metlika. The winery is enormous, 108 feet long, tunnel-like, entirely underground, with a constant temperature between 12 and 13 °C, a capacity of 3.4 million litres, and an annual production of about 750.000 litres of wine. The year 1968 is of particular importance for the development of the viticulture in Bela Krajina, when the new brand "Metliška črnina" was introduced, so that the winery became its birthplace. The winery produced the first high-quality wines in 1979.